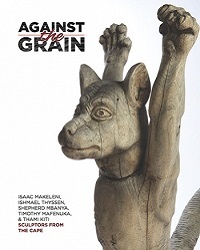 This text was first published by Durban Art Gallery in conjunction with the exhibition ‘Thami Jali: Restless Spirit’, 2014. In 1904 Constantin Brancusi on arriving in Paris was forced to support himself as a dishwasher. In response to Auguste Rodin’s proposition that he work as his apprentice Brancusi immortalized his refusal noting that “Nothing grows in the shadow of a great tree”. Within the South African artistic Zeitgeist one might presume to the contrary, that a great deal of creative growth and shared inspiration takes place under the shade of great trees. Thus it was for veteran KwaZulu-Natal artists Terry-anne Stevenson and Thami Jali. 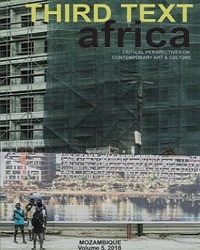 The long standing friendship between Jali and Stevenson was born in 1988 during the dark days of Apartheid when the African Art Centre in Durban offered a beacon of hope to artists whose status and recognition was fraught with all the challenges implicit in a system that did not encourage young South African artists of differing creeds and communities to mingle. 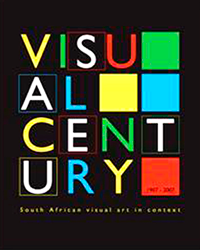 Stevenson had organized a retrospective exhibition at the African Art Centre of work by former students of the now legendary Rorke’s Drift art school. Thus began a journey of friendship and shared artistic achievement now in its 26th year. Notes Stevenson, “Thami has opened my world to opportunity, to experience a world and life full of adventure”. Jali was introduced to art via the Rorke’s Drift art school exhibition organized by Professor Dube at the University of Zululand in where Thami was studying law. He was so taken with the exhibition that he gave up his law studies and enrolled at the Rorke’s Drift art school where some of South Africa’s most influential artists learned their craft using printmaking. It was here that he met artists from different areas of the country and they became the foundation of his artistic network. Terry-anne attributes Thami’s enduring ‘critical edge’ and freedom to express himself as a legacy of both his law studies and the influence of what was then ‘an alternative’ network emerging from Rorke’s Drift from the shadows of apartheid. Stevenson reflects on those early days…“to begin with we started running projects like community exhibitions. Our first exhibition was held at the le Plaza Hotel, upstairs in the lounge. Previously the African Art Centre had run a workshop with all the artists that provided artwork to the centre at the time. The first exhibition we pulled together was from Thami’s network, artworks from former Rorke’s Drift artists that lived in the Johannesburg. The likes of, Ben Nsusha, Duke Ketye, Eric Mbatha, Gordon Gabashane and Mpolokeng Ramphomane … they called themselves “The Old Lions”. Stevenson attributes the founding of the Community Mural Project, the mural painting project, which she and Ilse Mikula began, in the early 1990’s to Thami’s ‘civic mindedness’. “It was Thami’s civic awareness that prompted the idea of a community mural. The first community centre at the Valley Trust in the Valley of a Thousand Hills.” He subsequently became employed full-time as the youth project leader for the Valley Trust Community Health Centre. Community Mural Projects has now been a going concern for past 25 years. Jali has continued to play a large part participating both as an artist, mentor and team leader on numerous occasions. KwaZulu-Natal in the early 1990’s was torn apart with political strife. In this time of tribulations, Jali encouraged the local youth, to explore their creative energies rather than continue with the ongoing civil unrest in South Africa at that time. This mentorship has had and continues to have an influence on many of the younger artists of today. In the late 1980s and early 1990s, it was not common practice for a white woman to frequent the townships of South Africa. Stevenson recalls that “walking together down the main streets of Durban, people, particularly the black community, glared and bestowed sideways looks and comments – most unsure of the overall situation. In 1995, on a mural painting trip a B&B in the Free State refused us accommodation. It was late at night and it was necessary to find different lodging. In the morning, at breakfast, (at an ‘alternative’ establishment), the domestic help and guests were greatly confused to see a white woman and black man travelling together”. 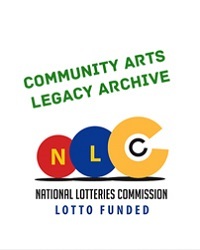 Thami has been instrumental in the establishment of various community art initiatives including the Valley Trust in the Valley of 1000 Hills area and Amakhona Art Centre in the West Rand. Today in Clermont the local neighbourhood children frequent his studio. The children love the experimentation of drawing and painting but unfortunately regularly ruin Jali’s precious brushes and colour crayons. Jali’s studio in Clermont, Durban is known as the ‘Art House’ and is a popular destination as part of ‘Ethekweni township tours’. Stevenson recalls “in the early 1990’s the unstable environment of South Africa was particularly volatile in the townships, where we spent time working and painting murals. Later in the ‘new’ South Africa, after spending some time in several different townships, together with Thami and friends I was able to meet, socialise and to experience the peoples’ of South Africa; Sotho; Tshwana; Pedi; Ndebele; Zulu and Xhosa who had been kept away from me behind the curtain of Apartheid. I consider myself very fortunate. Over the years we developed our own kind of language, a sometimes hilarious mixture of Zulu and English… “Zinglish “ this often made it difficult for outsiders to understand our conversations”. “I am greatly indebted to Thami …for his seemingly limitless imagination, his dedication to artistic experimentation and to new mediums and techniques. Besides his obvious popularity with his fellow artists few will know that his infectious personality once led him to train a gumboot dancing team, in which he still occasionally performs”. It is fitting that Thami’s retrospective exhibition takes place in the 20th anniversary of our countries democracy, as I take time to reflect on the passing of the decades, I salute a true a friend, a great artist, a gentleman, a visionary, rooted in the shadow of great trees.